Netgear’s Orbi RBK50 is one of the best Wi-Fi systems we’ve tested, and now the company is expanding the brand into a broader family of products with today’s introduction of the Orbi RBK30 and the Orbi RBK40. Like the original Orbi, both of the new models are tri-band routers that dedicate one 5GHz Wi-Fi channel for data backhaul from satellite access points. Both of the new systems will use the same router, but will have different satellites. The router is an AC2200 model supporting two spatial streams up and down on each frequency band to support one 2.4GHz network with to 400Mbps of bandwidth, a 5GHz network with up to 866Mbps of bandwidth, and a third 5GHz network dedicated to data backhaul with up to 867Mbps of bandwidth. The original Orbi RBK50 is also a tri-band router, but it operates a 4x4 radio for backhaul, delivering up to 1733 Mbps. Like that router, the new model will come equipped with a four-port ethernet switch, but it won’t have a USB port. 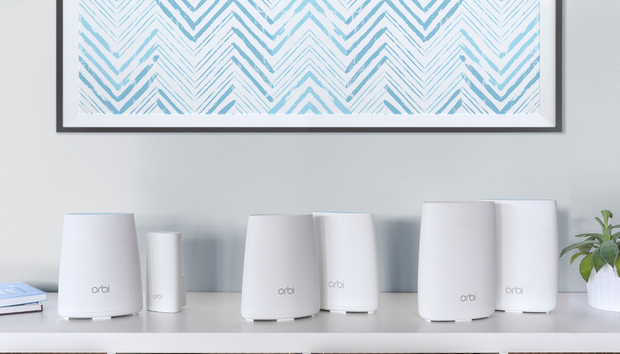 The Orbi RBK30 consists of a 2x2 AC2200 router and a satellite that plugs into an AC outlet. The $300 Orbi RBK30 is designed to cover an area up to 3500 square feet. It consists of the new downsized router and a satellite that’s designed to plug straight into a AC outlet. Netgear product manager Amit Rele said Netgear “took inspiration from [its] plug-in range extender business” in designing the plug-in module. It’s a one-piece design, unlike the curious magnetic-ball modules in Ubiquiti’s Amplifi HD Wi-Fi system. Rele admited that there will be “some loss of range [with the plug-in design], due to the presence of power lines in the wall and more obstacles in the signal path” because most outlets are just a few inches above the floor. Still, promising 3500 square feet of coverage with just two modules is an impressive claim. 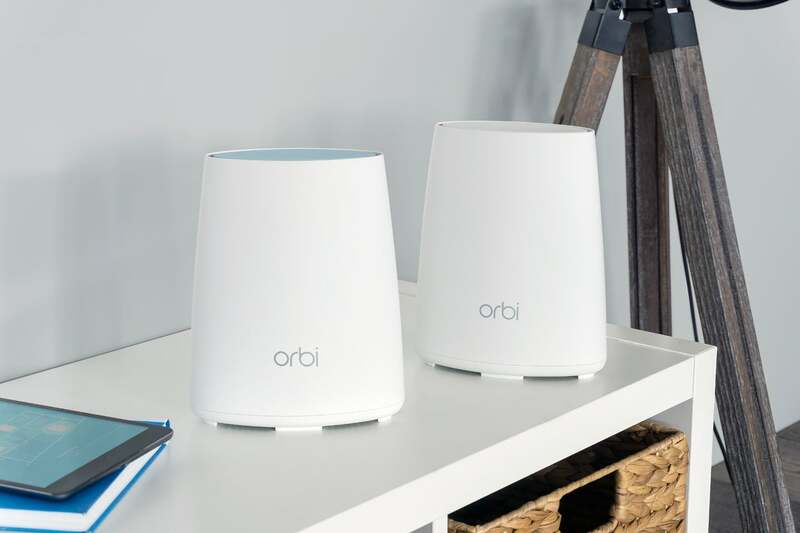 The Orbi RBK40 will feature the same router with a satellite that's about the same size. The $350 Orbi RBK40 will use the same router as the RBK30, but it will come with a larger and more conventional satellite that’s designed to operate on a table or counter top. Rele said consumers should expect this combination to cover up to 4000 square feet. Netgear is also selling all three satellites separately for consumers who need to expand the range of their existing Orbi networks. 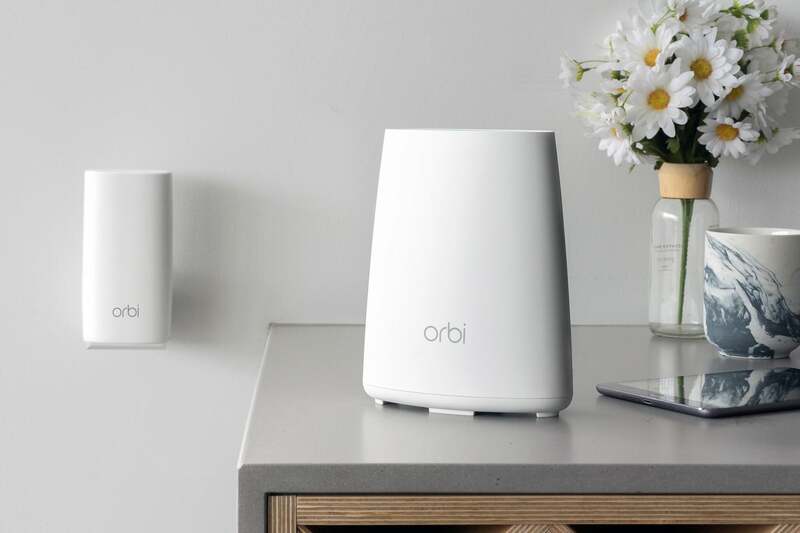 The Orbi wall-plug satellite is priced at $150 and promises to add 1500 square feet of coverage, the AC2200 table-top satellite is rated to add 2000 square feet of coverage for $200, and the original satellite costs $250 to add 2500 square feet of range. Netgear says all of its new components are available for sale now. We'll have hands-on reviews as soon as we can get our hands on eval units.